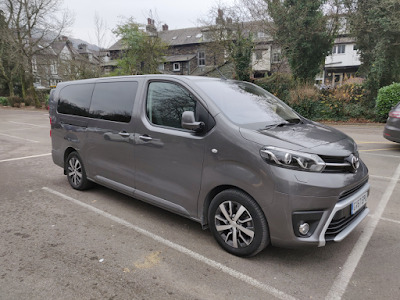 Last summer we bundled the kids off to the Lake District, both to have a jolly summer holiday, and to test the Vauxhall Vivaro Combi+. Well, as you might read in that review, we had a great time. So when Toyota got in touch offering us what at first seemed like a very similar kind of vehicle, we jumped at the chance. And so, with the kids packed in once again, but this time in their winter thermals, we took a road trip in the Toyota Proace Verso. Put the Toyota next to the Vauxhall and you might be forgiven for thinking they were essentially the same. 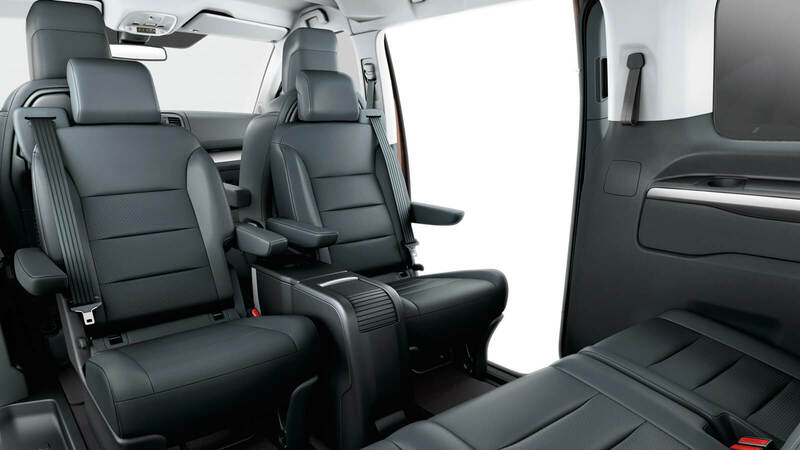 Both are van-like people carriers, both can accommodate more than seven passengers, and both have huge storage capacities and smooth rides. 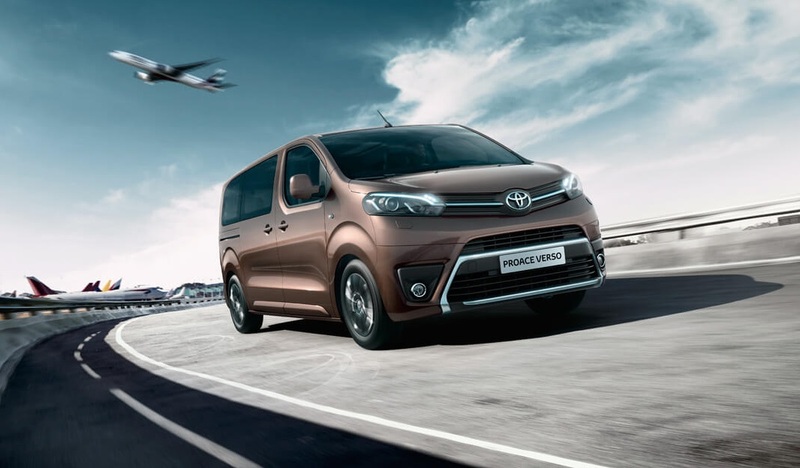 However, whereas the Vauxhall was indeed a modified van, the Toyota Proace Verso is much more carefully considered. 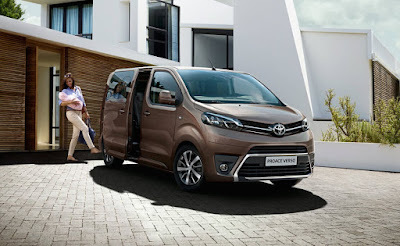 The model we were given to review, the 'VIP', was a seven-seater people carrier with full leather seats (heated in front), a touch screen infotainment system, sky lights, and motorised hands-free sliding side doors. Seven seats might not sound like much, considering the size (and price) of the VIP model, but the seating arrangement was very unique. Up front you get the two executive 'pilot' seats, with lumbar massage and heating systems built-in. They were by far some of the most comfortable seats we've ever sat in, and made long journeys a breeze. Behind them there were two more large, executive-style chairs, between which was a fold-out, aeroplane-like table unit. Some other models of the Toyota Proace Verso feature a third, smaller seat here, but having just two means there is oodles of foot space, and they are both very easily accessible via the automatic sliding doors. Behind them is what you might have expected to find behind the front seats - a row of three, full seats. Still with plenty of leg room, and still very accessible thanks to the seats in front sliding back and forth, these acted as our kids' little area during the trip, featuring cup holders and cubby holes. Above all these seating options is the delightful sky light - two separate parallel roof windows with individual sliding blinds. They were great for letting in more light (very handy on a gloomy winter day) and also for the kids to gaze up and through in wonder as we passed under bridges and overhanging trees. Back in the front, and driver and navigator are well served with cup holders, the glove compartment, and cubby holes of their own. The infotainment system was simple to master, and the sat-nav application on it was quick and accurate, out-performing Google Maps on our phones. The surround-sound system, exclusive to the more expensive VIP model, was a delight to experience, and there's also Bluetooth to hook up your phone. Entertainment sorted. As for the drive, the Toyota Proace Verso outperformed the aforementioned Vauxhall by miles, both figuratively and literally. 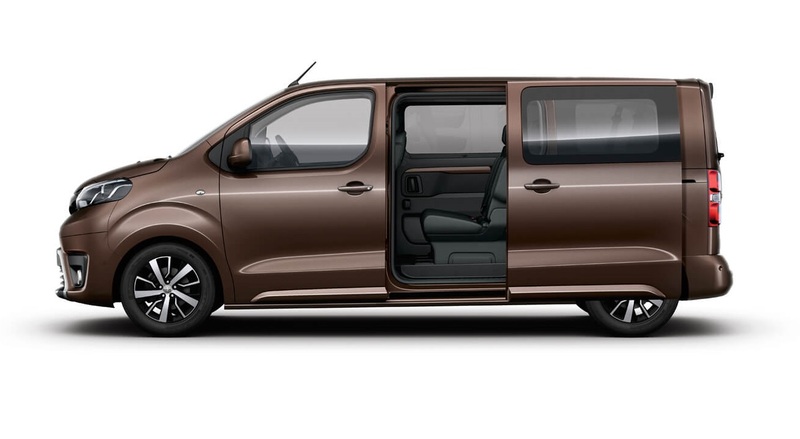 Whereas the Vivaro always felt like a van with extra seats bolted in, the Proace was smooth and refined; like an actual family car. It felt substantial on the road, handling the tricky winter back roads with ease. We felt confident at the wheel, and never once felt 'top-heavy' and at risk of rolling, as larger, taller vehicles like this tend to instil. Yes, it's a big van-like vehicle, more akin to a minibus than a luxury saloon. 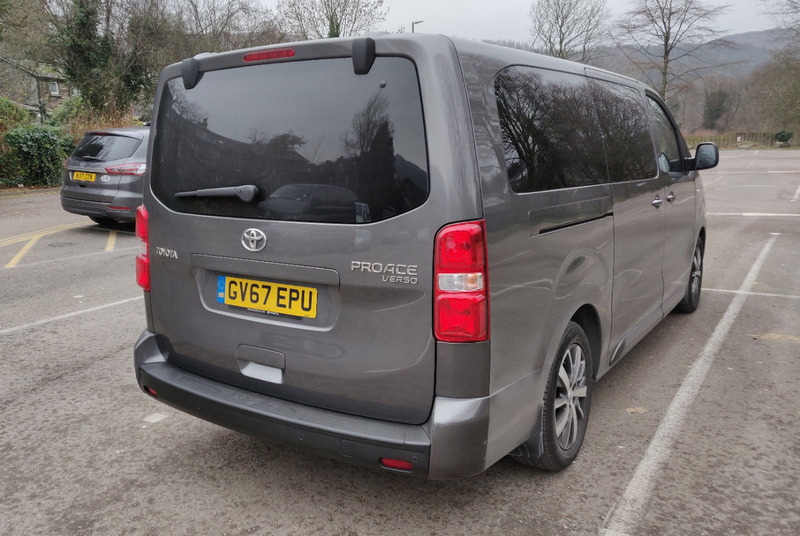 But by God the Toyota Proace Verso felt more like a luxury car than anything we've driven in a long time. 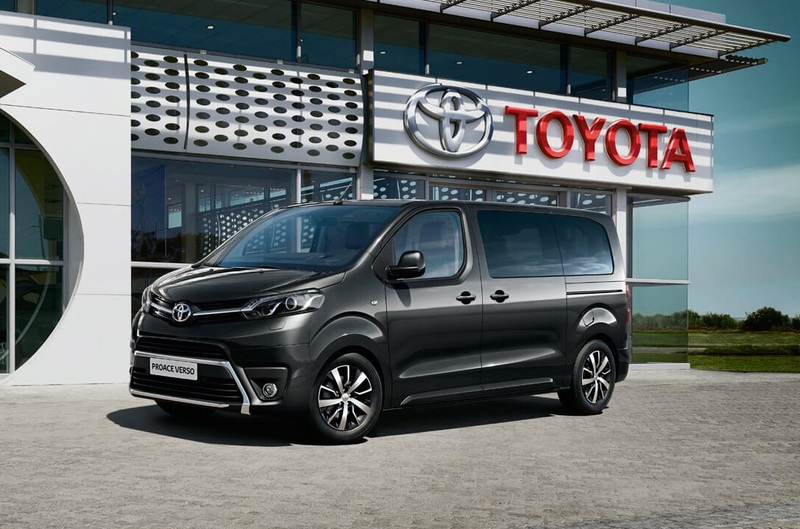 The price might put many families off, especially the ones wanting more seats, but the VIP model is an exceptional vehicle that was a pleasure to test. You should definitely book a test drive.